The following figure shows one beam supported by two columns. This beam, due to its flexibility and the loads that it bears (self weight, supported slab, walls, etc), is deformed by the way mentioned in chapter 1.4.2 The reinforcement placed inside beams consists of the longitudinal bars and the transverse reinforcement in the form of stirrups (ties). The longitudinal rebars are placed in order to resist the flexural tensile stresses that appear along the beam axis while stirrups are used to carry the diagonal tensile stresses caused by shear. Moreover, stirrups help in the confinement of longitudinal reinforcement in critical areas. Since most of the times beams with names b1, b2 etc appear in all floors, it is compulsory to use the prefix both in the constructional drawings and in the beams’ labels so as to avoid confusion with the drawings and the various materials used (these are specified in the beam’s labels). The label 10SØØ10/100 means that for the critical length [*] NoteAccording to Eurocodes, the critical region in average ductility category should be higher than or equal to the beam’s height (Lcr ≥1.0hw), in high ductility category should be higher or equal 1.5 times the beam’s height (Lcr≥1.5hw). In the following examples, the critical area is taken as Lcr = 2hw. of the beam which is 1.0 m, 10 stirrups will be used, with a Ø10 diameter and 100 mm spacing. 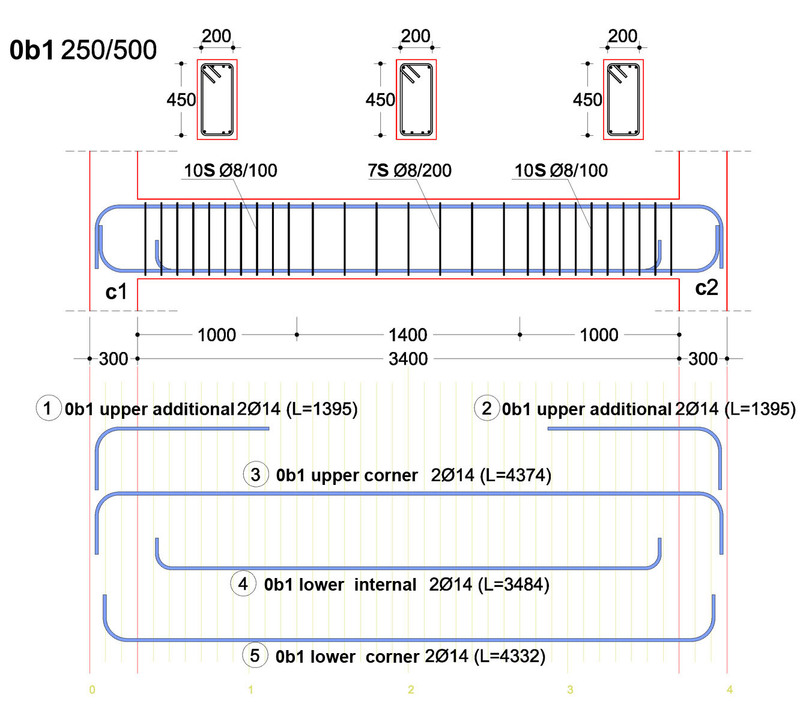 In the detail drawing of the following continuous beam, the label 12SØ8/170 that refers to the beam’s span, which has a length equal to 2m, indicates that 12 stirrups with a Ø8 diameter will be placed around every 170 mm (the exact distance between them is 200/12=167 mm). A seismic ground motion causes reverse bending moments to the beam. In the joint area of an earthquake resistant frame both the upper and the lower reinforcement are fully anchored. The stirrups hold the rebars in place and they carry the diagonal tensile forces that usually shift direction. The beam’s region next to the face of the column is characterized as ‘critical’ because it carries the largest stresses. Its length is equal, from 1 to 1.5 times, the depth of the beam (in our example was assumed as 2*0,50=1.00 m). The stirrups placed at the critical areas must be narrow spaced and properly closed. 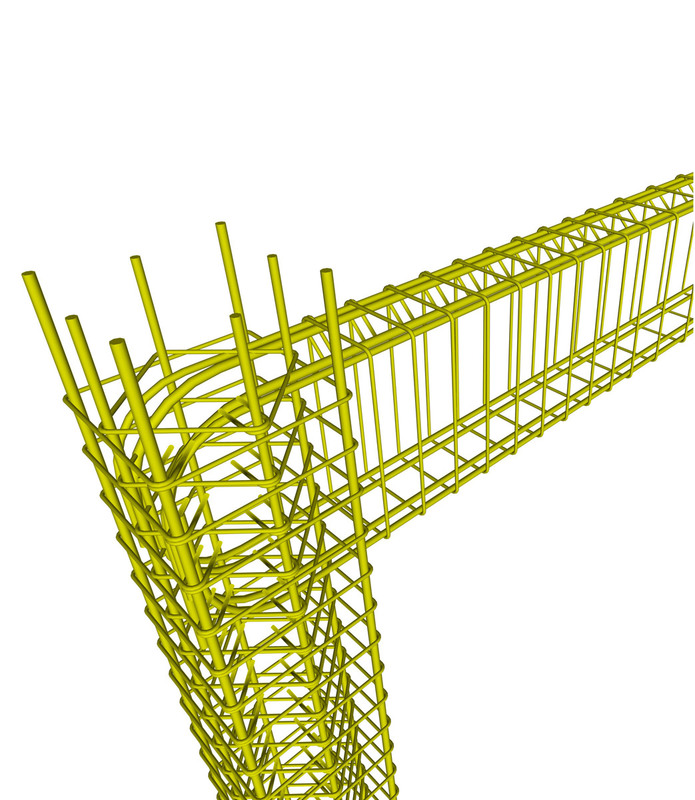 The required anchorage length for the lower fibers of the beams is 30% smaller in comparison to that required for the upper fibers of the beams. 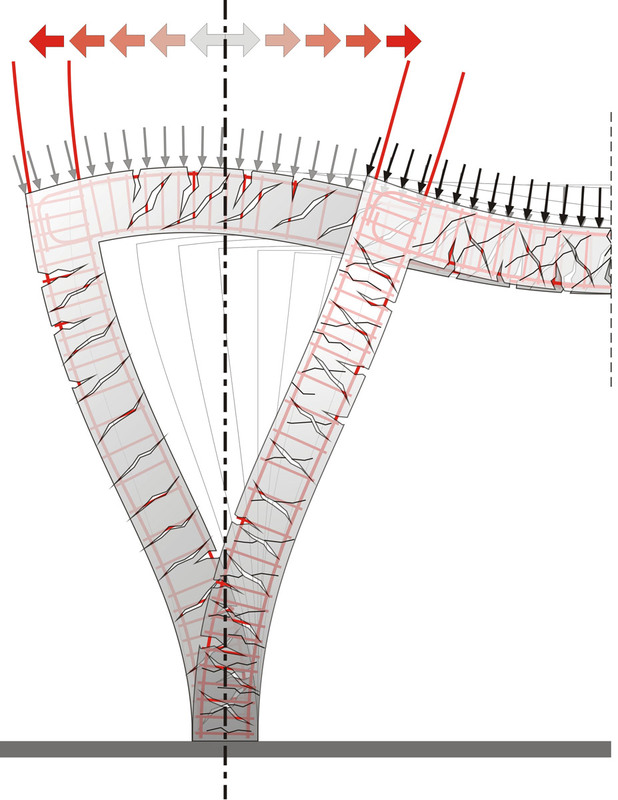 This is the reason that in finishing nodes, the lower beam reinforcement bars are anchored with a smaller hook. Additionally, in order to create more space for the concreting process, the lower reinforcement bars are shorter than the upper bars, as shown in the beam reinforcement details. 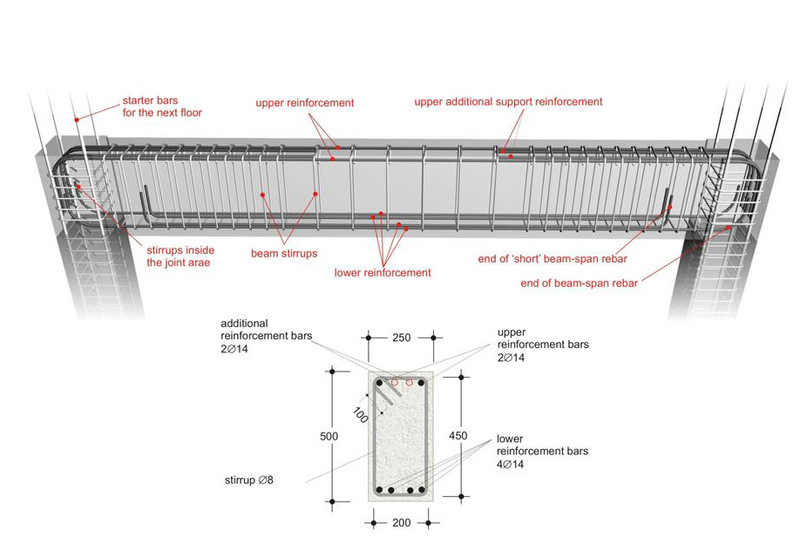 The beams’ width must be greater or equal to 200 mm and at least 2Ø14 must go through the full length of the beam both at the top as well as at the bottom.